A major contribution of Ol Jogi is introducing canine units back in 1989 to help in the fight against poaching. These furry friends have proved so helpful, their involvement has been introduced to conservancies across Kenya and further afield. 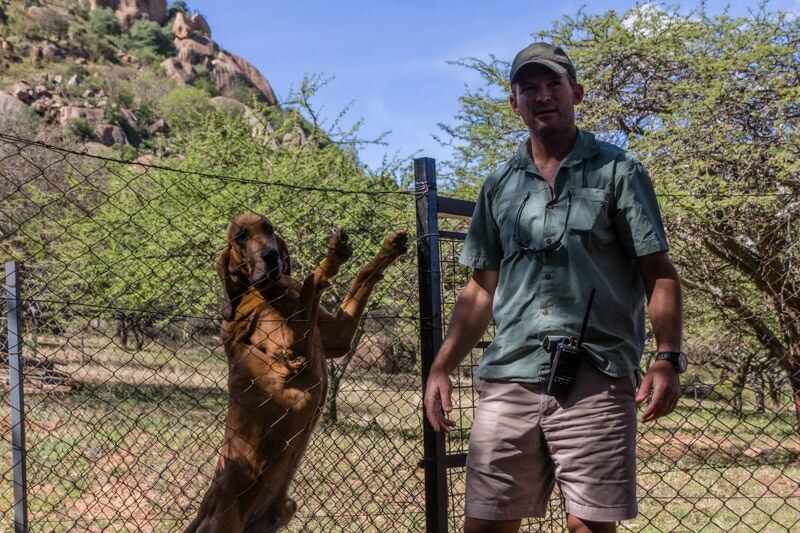 Ol Jogi now train the dogs and help integrate them at the request of other conservancies. The dog units are made up of Bloodhounds and Belgian Malinois, bringing together very different characteristics and skills. Bloodhounds have an incredibly sensitive smell, sometimes tracking a scent up to 200 km or if it is 300 hours old! If a rhino is found dead, they can still track the killers. If the poachers are intercepted in the park, the Bloodhounds are deployed with the rangers to follow their scent. It is hard to see or track in the night, but the Bloodhounds’ smell is better than a pair of human eyes. Once the bloodhounds lead the rangers to the poachers, that’s when the Belgian Malinois bravely defend this natural land alongside the rangers. If a poacher’s gun rings out, a battle is on. In the dark there can a lot of confusion but the Belgian Malinois’ nose doesn’t fail either and they give the rangers an advantage by charging and holding down on a poacher, not letting go until the ranger commands it. 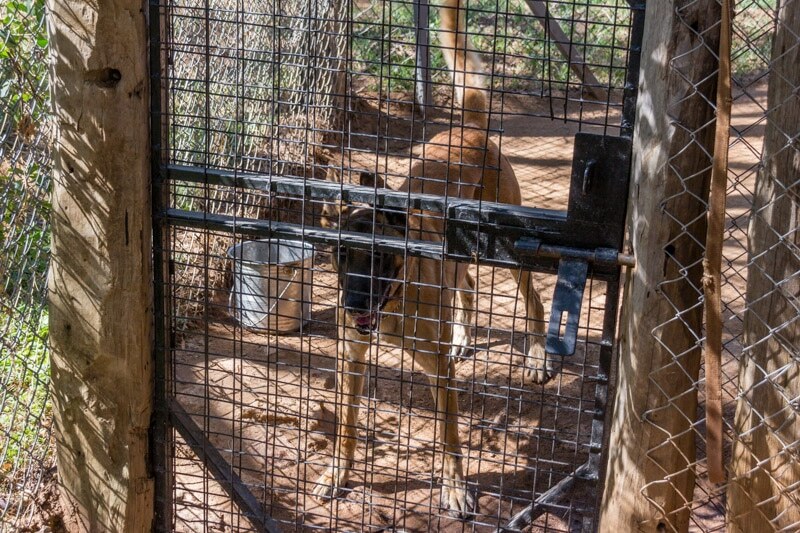 In Kruger National Park in South Africa, a particular Belgian Malinois – nicknamed the K9 Killer – is responsible for the arrests of over 100 poachers. As you can imagine, this takes a lot of obedience and self control on the dogs part. And not all Belian Malinois’ are up to the task. We were told that when they are still puppies, they test their temperament and obedience by dangling something, such as a ball, in front of it. If the pup goes for the ball straight away: fail. But if the pup waits patiently, watches the ball and then chooses the right moment to snap: pass! Ol Jogi has been very successful in protecting the rhinos residing on their land. Not a single rhino was lost to poaching in the park from 1980 right up until 2012. Since then, however, the threat of poaching has sky rocketed along with the demand for rhino horn. Rangers have had to fight many dangerous battles. Apart from defence and array of other skills, the rangers recieve training in battefield medicine. This absolutely necessary training, as well as being supported by canine units is vital to the survival of all rhinos and other species that live at Ol Jogi. Save the Rhino provide the necessary support that Ol Jogi need. Please consider donating to their amazing work through our Virgin Money Giving page. You can find out more about Ol Jogi Wildlife Conservancy or the ways that Save the Rhino support them. 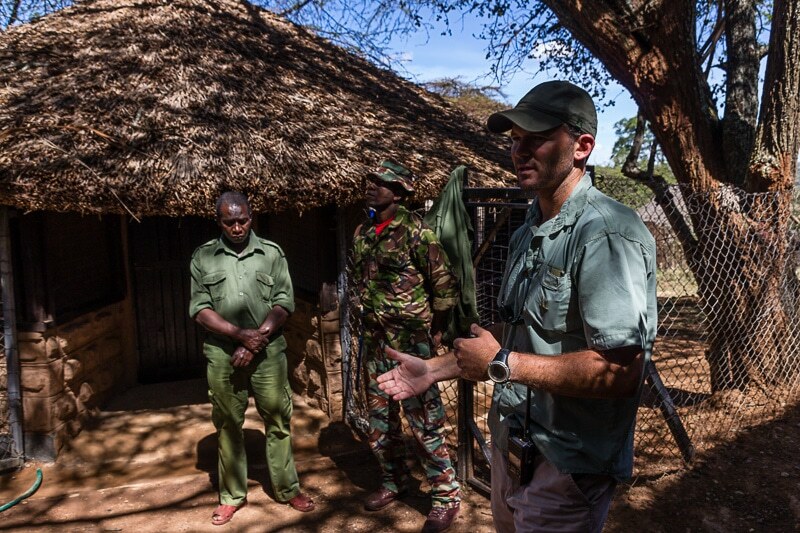 More photos from Ol Jogi Wildlife Conservancy can be viewed here. Thank you!